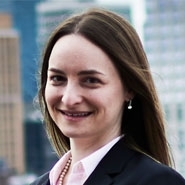 Erica Markowitz was a featured speaker at the NY Metro InfraGard security summit on the New York Department of Financial Service’s recently enacted cyber regulations. Erica was joined by industry professionals from InfraGard, KPMG, Kroll, Baker Tilly and Nuix for a discussion on how the regulations impact businesses and practical steps businesses can take to safeguard from an enforcement action, develop compliance strategies, and prepare for a regulatory or third-party action after a cyber breach. Ron Arden from Fasoo moderated the discussion. For more information, visit New York Metro InfraGard Members Alliance.